Grocery store in Panguitch, Utah along Highway 89. Sherratt Library, Southern Utah University. 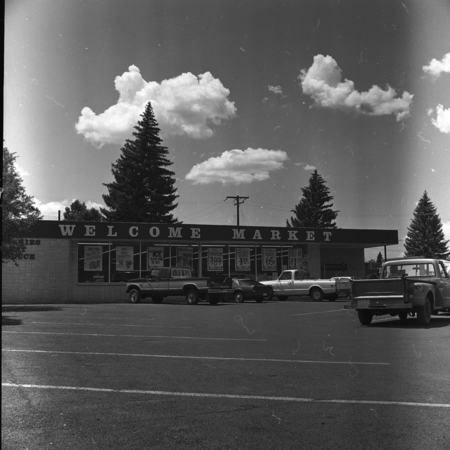 Crawford, J. L. (Jasper Louis), 1914-2010, “Welcome Market,” Highway 89, accessed April 25, 2019, http://highway89.org/items/show/324.